An internationally recognized hotspot for biodiversity, Tambopata National Reserve sits in the Madre de Dios region of Peru between the fringes of the Amazon rainforest and the city of Puerto Maldonado. Here, a lush tropical rainforest provides habitat for an enormous variety of rare and endangered wildlife, such as jaguars and giant otters. In a buffer zone north of the reserve, however, land degradation is taking a toll on the ecosystem. This land has suffered from illegal mining. Single-crop plantations of papaya provide the community with much-needed income but strip the soil of nutrients after only a few years. When the land is too degraded to support their crops, farmers often clear forests in search of new plots of nutrient-rich land. These scenarios are rapidly changing thanks to a groundbreaking project to transform agriculture in already-converted land in the southeastern region of Peru. It's a partnership between local non-governmental organization AIDER, leading natural capital fund manager Althelia and area farmers, who are all working together to restore the land through agroforestry. Forest restoration can play a huge part in reducing global emissions and tackling poverty. Successes from Madre de Dios show how restoration projects can be designed to fit within global financial mechanisms while putting the needs of a local community first. AIDER and Althelia are partners of Initiative 20x20, a country-led effort to bring 20 million hectares (49 million acres) of land in Latin America and the Caribbean into restoration by 2020. Restoring this land by adding trees and improving farming practices would yield $23 billion in net benefits over 50 years, a value equivalent to approximately 10 percent of annual food exports from the region. That's an average of $1,140 per hectare. This effort has major implications for climate change. Intact rainforests are thought to absorb more carbon from the atmosphere than other forests, and AIDER's dedicated specialists focus on preserving trees that absorb the most carbon. To date, AIDER has facilitated the restoration, protection and conservation of more than 1.1 million hectares (2.7 million acres) of forest and degraded land—financing its conservation efforts since 2009 by selling carbon credits achieved through the United Nations REDD+ framework. Reducing emissions from deforestation and forest degradation (REDD+) is a mechanism negotiated by the UNFCCC. Finalized in 2015, it provides a way to pay for forest management that reduces emissions in developing countries, whereby polluting countries can purchase carbon credits from projects that reduce emissions from deforestation. One such project is AIDER's push to restore land in Tambopata's northern buffer zone. With support from REDD+, farmers are gradually replacing papaya plantations with mixed agroforestry systems that benefit both the farmers and the environment. A typical agroforestry system in this region includes a main crop, such as cacao; a shadow component, for example banana or papaya; a recovery crop, such as guava; and quick- and slow-growing timber species. Growing a mix of trees and shrubs mimics the behavior of a forest, and helps the soil retain nutrients and water, protecting the land and increasing carbon absorption. Stopping deforestation, reforesting 50 million hectares and restoring a further 200 million hectares of degraded land could deliver 60 percent of emissions reductions needed by 2050 in Latin America and the Caribbean. Together these crops create short- and long-term income cycles for the farmer. Pedro Villa, one such farmer, has land on the outskirts of the rainforest. Many years ago, his land was home to virgin forest, but this was cleared to make way for a papaya farm that relied heavily on chemicals. Villa arrived in the area in 1975 as a cattle rancher, motivated by incentives from the government at the time that led to widespread deforestation as farmers cleared forest for pasture land. Now, he says, "I am bringing back forest to my farm." His newly restored land appears to be forest but is, in fact, a cleverly arranged agroforestry system. As Villa restores the pasture, trees are returning to what is now a diversified farm where fruits and cacao are grown, and cattle and pigs raised. Papaya is still farmed, but now serves as a shade tree, sheltering the cacao that grows underneath. He also grows boliana, a quick-growing timber ready for harvesting within five years. 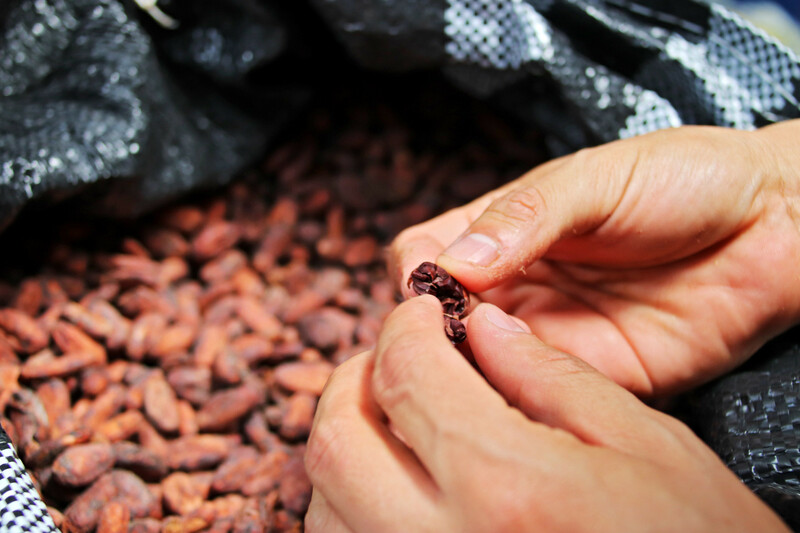 Villa's main income comes from four varieties of cacao. In 2017, he processed 3 tons of cacao, the raw ingredient of chocolate, and now he feels comfortable in processing 20 tons. Not far away, Cirilo Sanchez, president of the local farmers' cooperative, is practicing agroforestry of a slightly different kind. Although he also grows cacao, he cultivates 15 varieties of native flowers to sell to the ecotourism lodges that are booming in this part of the rainforest. In sympathy with the biodiversity of the nearby rainforest, he is now allowing wild trees to populate his land, where he grows maize, cacao and bananas and keeps cattle. 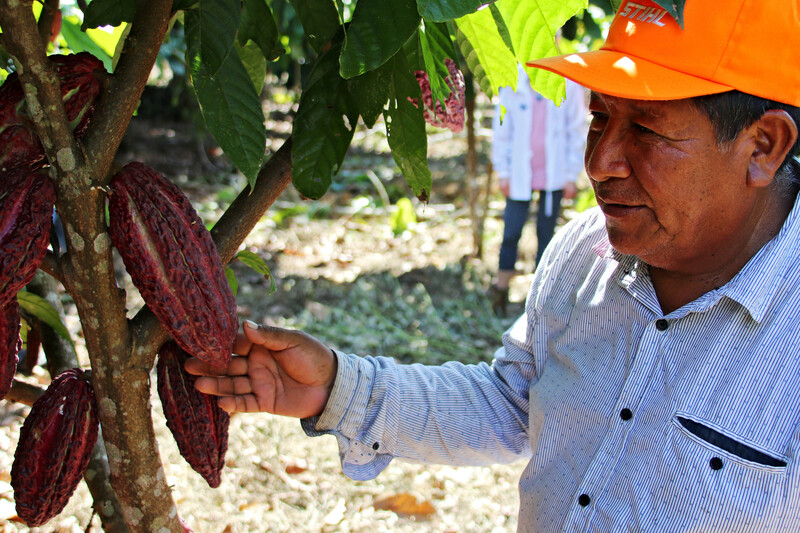 In one notable innovation, Sanchez uses mucuna (also known as velvet bean), an invasive legume, to prepare the soil for planting—it fixes nitrogen into the nutrient-depleted soil—and then clears it before planting his crops. The money raised from REDD+ carbon credits is a key component for funding the farmers' crops and agroforestry. The region has become an attractive opportunity for investors due to the lower risk of its carbon credits. Through REDD+, local people have incentives to restore and conserve land, presenting a lower risk for the carbon credits economy of increasing tree and shrub cover to reduce emissions. To date, this scheme has enabled AIDER to restore and conserve 1,300 hectares (3,212 acres) of forest within the Tambopata National Reserve buffer zone. Nevertheless, these are promising results. They suggest an approach to one of the world's most pressing environmental problems. In recent years, more than 40 percent (650 million hectares) of forests in Latin America and the Caribbean, containing some of the most ecologically valuable ecosystems in the world, have been deforested or degraded. The bulk of the emissions—42 percent as of 2014—in the Latin America region are generated not from energy but from land use, land use change and forestry. The drivers of this change include large- and small-scale agriculture, infrastructure projects, and mining. It is up to advocates to offer a more promising alternative to the farmers and communities who live in these critical ecosystems. AIDER's experience in Tambopata demonstrates one way to start.